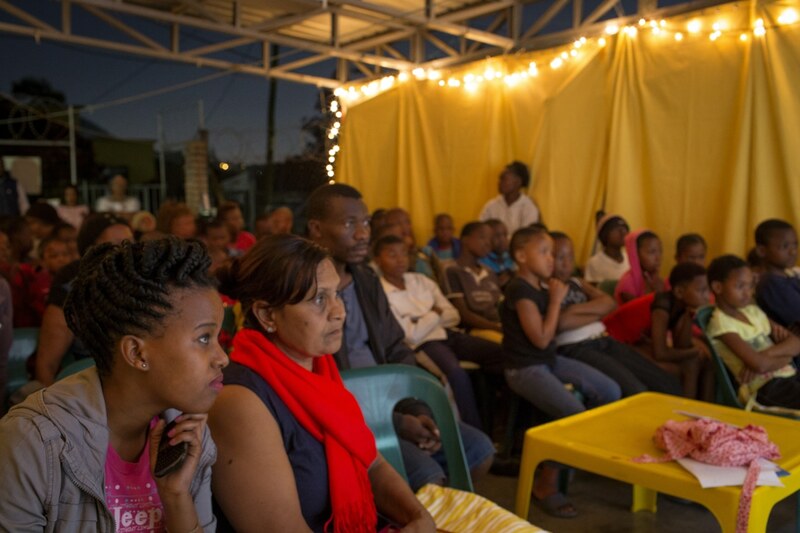 Turning the silver screen green and providing a ray of light in South Africa (literally), Sunshine Cinema is not just an initiative of mobile cinemas powered by the sun. It’s even more brilliant than that. Johannesburg-born Sydelle Willow Smith and husband Rowan Pybus carefully curate content and take it to diverse communities across sub Southern Africa and beyond. Their mission is to get people talking about HIV, deforestation, water and other pressing issues. By sharing stories about the heroes doing positive work in the world they are sparking conversations and powering activism. And they’re doing it with what they know best – film and media. In 2013 the two filmmakers were working in Zambia with charcoal burner-turned-tree conservationist Lloyd Maanyina on a short film called Amazing Grace. Their production company Makhulu Media followed the ‘forest hero’ on his personal journey planting trees with Greenpop’s first ‘Trees for Zambia’ project. Lloyd addresses the destruction he has caused from charcoal burning and sets up a micro-nursery instead. It won no less than six awards – from the UN to National Geographic. As the trees grew, so did Sunshine Cinema. 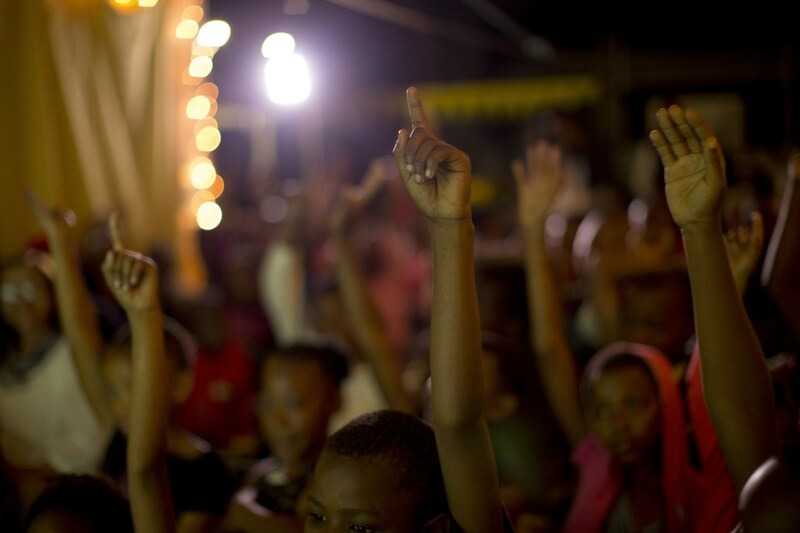 Since 2013 over 8,000 audience members across Southern Africa have enjoyed these educational and compelling screenings. They have worked with youth, farmworkers and rural women’s groups in environments where electricity is scarce. 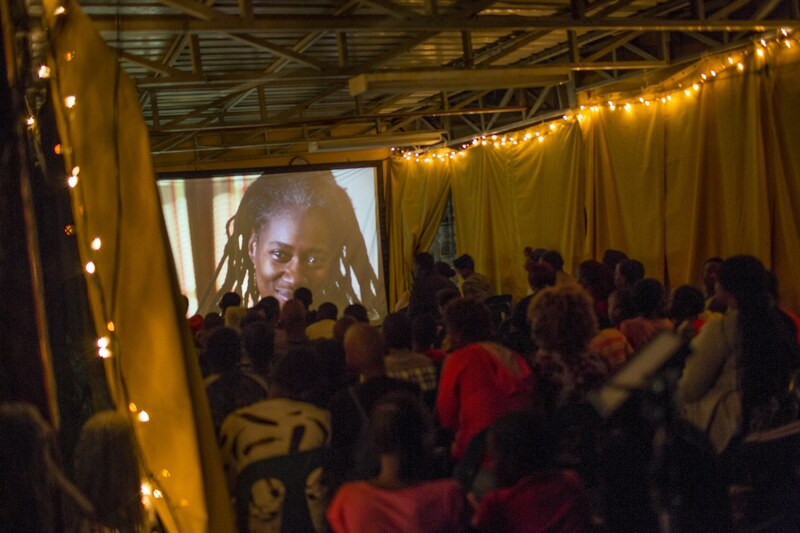 Before the carefully-curated African films, documentaries and DIY tutorial clips they introduce the audience to SunBox – their solar-powered ‘cinema in a box’. The small, cable-free portable cinema kit is a battery-powered rechargeable projector paired with a battery-powered Bluetooth speaker. The solar power system can charge the kit for a two-hour screening. It can screen to up to 50 people at a time and their larger solar set up can screen to up to 150. 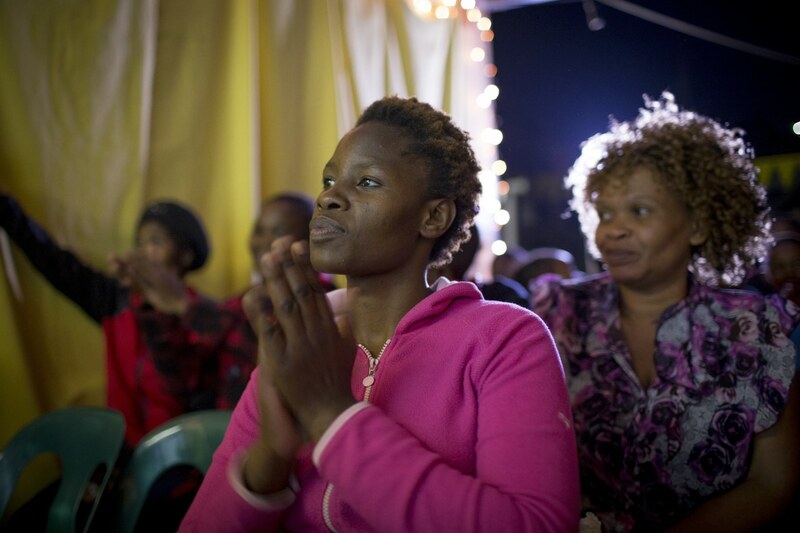 The couple hand over the cinema to community activists and changemakers and provide them with tools and training so that they can run their own shows. “The screenings are aimed at highlighting human rights concerns through storytelling that confronts each human being to engage empathetically, as well as create a platform for social impact,” explains Sydelle. Many young people do not feel heard in the media, nor are their concerns reflected in decisions made by government and policy makers, as freedom of expression is increasingly being halted. 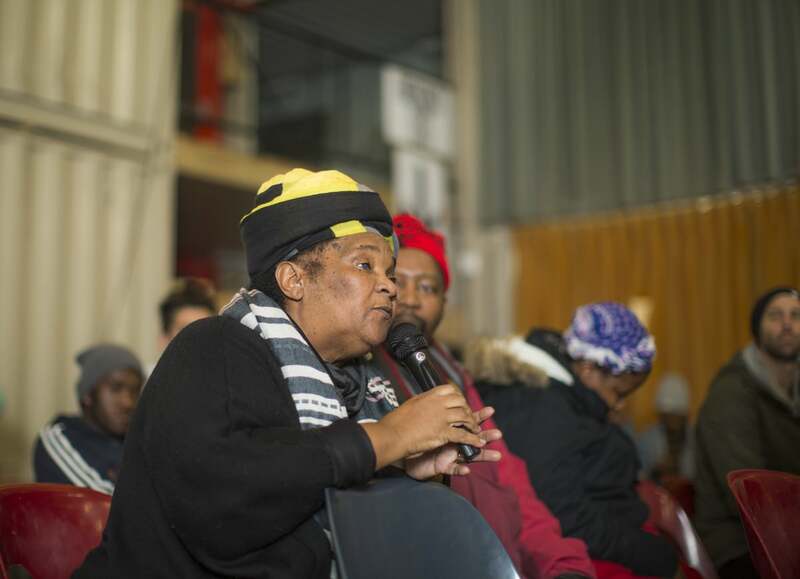 “The huge informal settlements outside the major cities where most of the black population live, and where emergent filmmakers are to be found, remain under-serviced in terms of affordable cinemas and transportation access”. Sunshine Cinema have also created the role of ‘SunBox Ambassador’. When 21-year-old Buhle Sithela and his friends started a bin cleaning project in the partially informal township of Khayelitsha to raise funds for film screenings, Sydelle took the Star Wars fan on as an intern and their first Ambassador. She gave him a Sunbox so he could fulfil his dream of bringing the magic of moving pictures to his township, which enabled him to develop his own project Ekasi Cinema. Sunshine Cinema relies on sponsors who support screenings, or even individual seats. International organisations such as Red Bull, Greenpeace, WWF and Volkswagen, among many others, have helped spread the joy. “Our work with the Children’s Radio Foundation has been formidable in growing our understanding of what young people across the continent feel about issues facing them concerning violence, climate change and HIV/AIDS – which has influenced our approach to the films we make and the films we screen immensely,” Sydelle adds that they are also working with Google VR to develop virtual reality stories about HIV with youth and clinic workers. AtlasAction: Follow Sunshine Cinema on their Twitter, Instagram and Facebook and keep track of their screenings and projects. Tags: Accessibility, Activism, Africa, Awareness raising, Campaigns, Communication, Community, Culture, CultureFutures, Education, Empathy, Empowerment, Environment, Film, Identity, Information, Media, Mentoring, Social inequality, Solar, Solar energy, Storytelling, Youth.